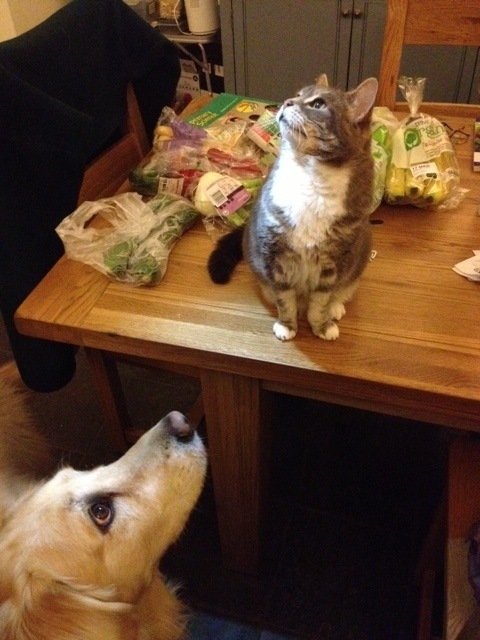 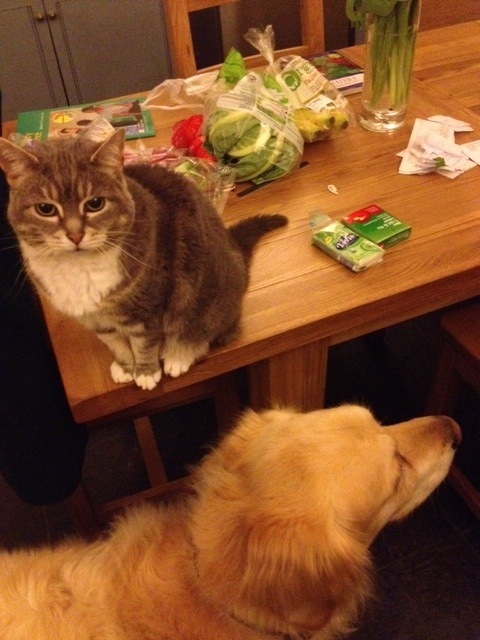 Susie sent me these pictures of Minou her cat and Morris, her patient and gentle dog. 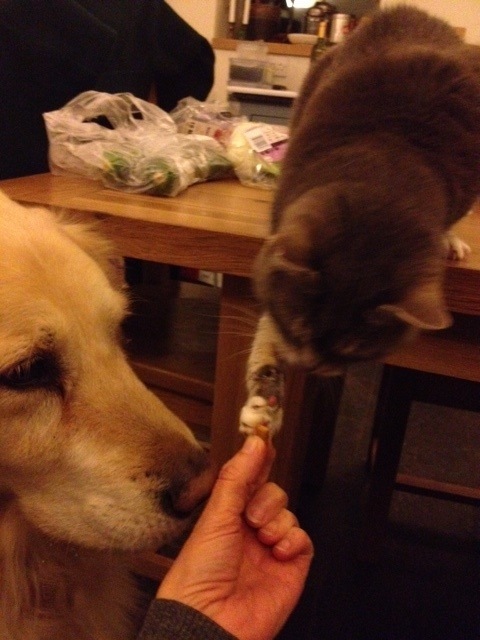 They were taking it in turns to eat cat treats. 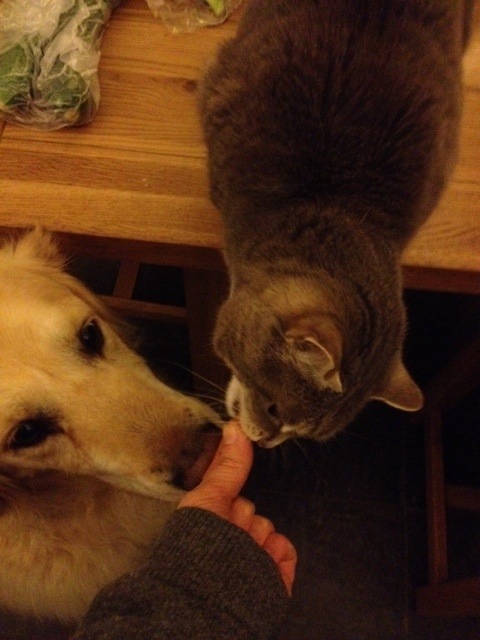 As explained only four days ago, I adore seeing cats and dogs together.